Provo • It is difficult to learn a lot about one’s college basketball team in an exhibition game against an NCAA Division II opponent, but BYU coach Dave Rose clearly discovered something Wednesday after the Cougars cruised past Saint Martin’s University 92-71 at the Marriott Center. “We’ve got to get in better shape,” Rose said. Indeed, the visitors from Lacey, Wash., outscored BYU 48-47 in the second half and shot a sizzling 61.5 percent in the latter 20 minutes after shooting just 27.6 percent in the first half. In fairness, Rose substituted liberally in the second half after grabbing a 45-23 lead before the break. But he was not happy with how the reserves were played to a standstill by the Saints, who were playing without last year’s leading scorer, Luke Chavez. Saint Martin’s outscored BYU 14-7 the first five minutes of the second half and made nine of 13 3-point attempts in that period. 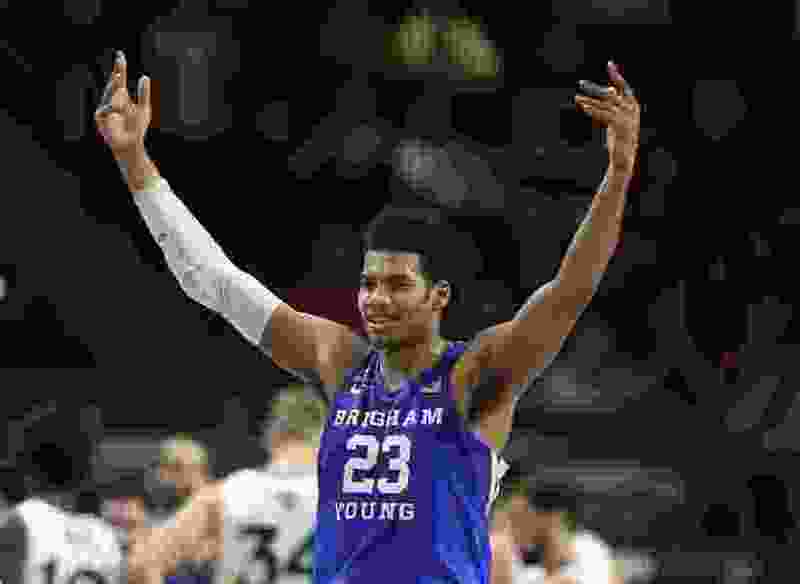 BYU started Yoeli Childs (20 points, eight rebounds in 23 minutes), Luke Worthington, TJ Haws, Jahshire Hardnett and Zac Seljaas and Rose was generally pleased with how they played. Dalton Nixon was the first player off the bench. “That’s how it is for now until we believe we can do something else,” Rose said of the starting lineup. Nick Emery could have played (he will have to sit out the first nine official games), but Rose said he decided the junior won’t play in any of the exhibition games. “It is a mutual [agreement] because he agreed with me,” Rose said. The coach also praised the play of the two freshman returned missionaries, Gavin Baxter and Connor Harding. Baxter scored nine points and provided the best first-half highlight with a follow dunk, while Harding chipped in seven and was 4-for-4 from the free throw line on a night the Cougars combined to go just 21 of 31 from the stripe.